The View in line for the ferry. Marine Atlantic ferry to Newfoundland. Trailer trucks on ferry deck. Nice and close! We were parked with the trucks on deck 3. 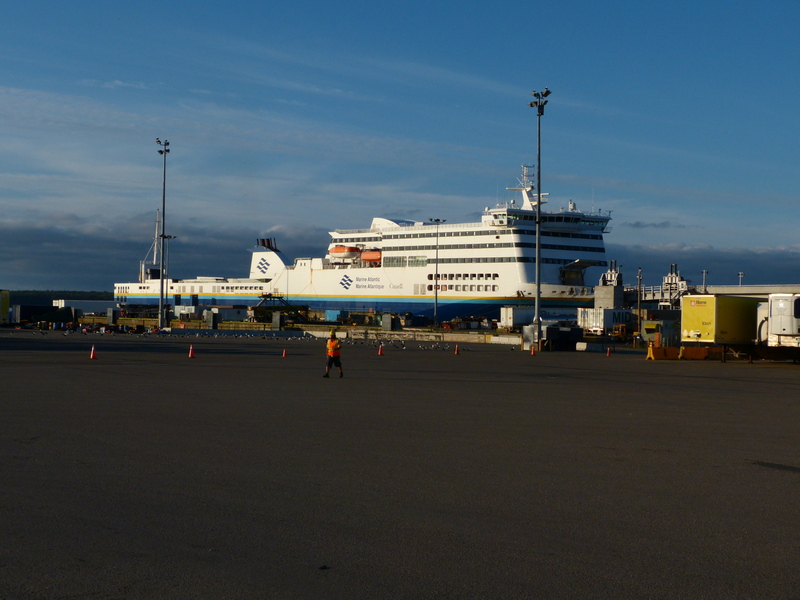 We took the Marine Atlantic Ferry to Port aux Basque, Newfoundland on Saturday morning. 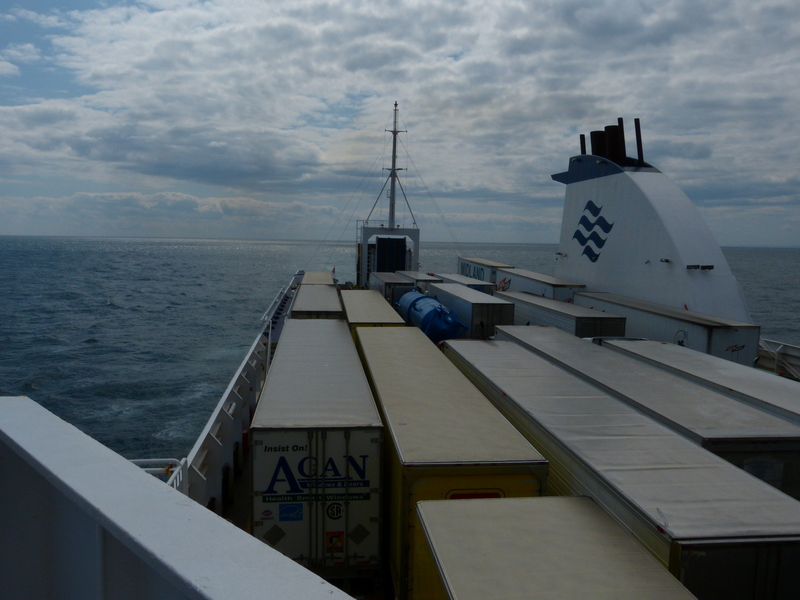 It was an uneventful crossing as the weather was pleasant and the waves were small. 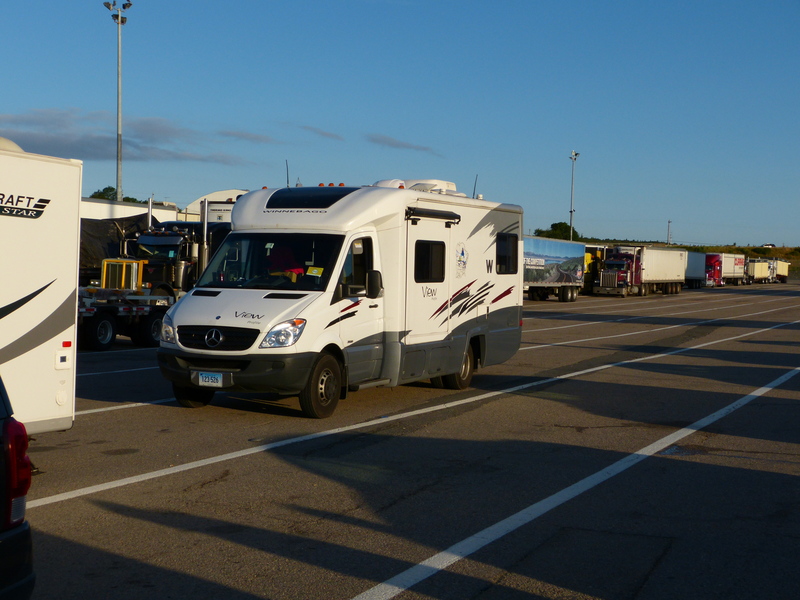 Our dog Woolly Bear had to stay in the camper below deck for the entire 6 hour crossing. He was asleep when we got back to the rv to disembark. JT Cheesman Provincial Park. Another beautiful beach! After a quick stop at the visitor center, we camped at JT Cheesman Provincial Park. The park was quite nice and had a beach and sand dunes. I have pictures, but will need better Internet service to upload them! The beach and dunes are a nesting site for the Piping Plover, so we had to be careful to keep WB away from the sea grass. 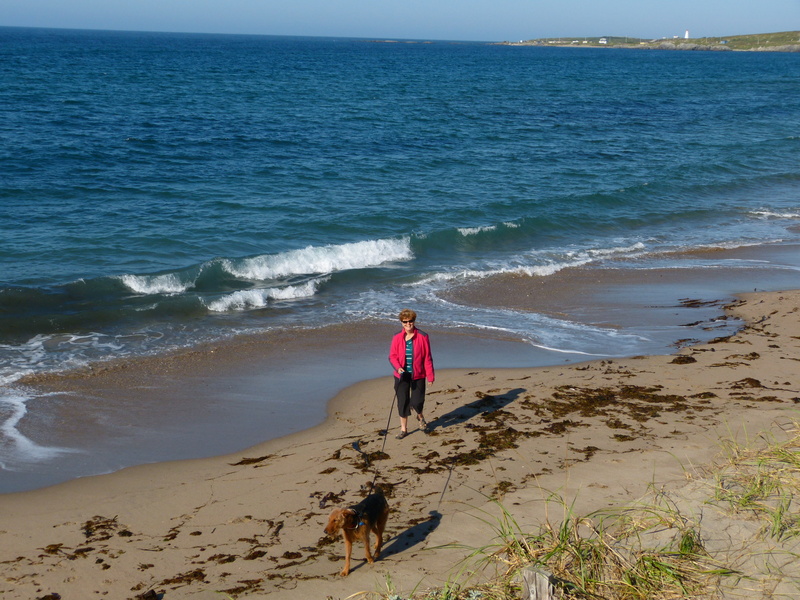 The last two days we have camped at Trout River Campground in Gros Morne National Park. It was a large, wooded site with lots of privacy but no electricity. Yesterday saw heavy rain, but we hiked the Tablelands any way. It was the first time since August 1st that Charlie was able to do any hiking. His ankle held up for the short 4K hike in the rain. 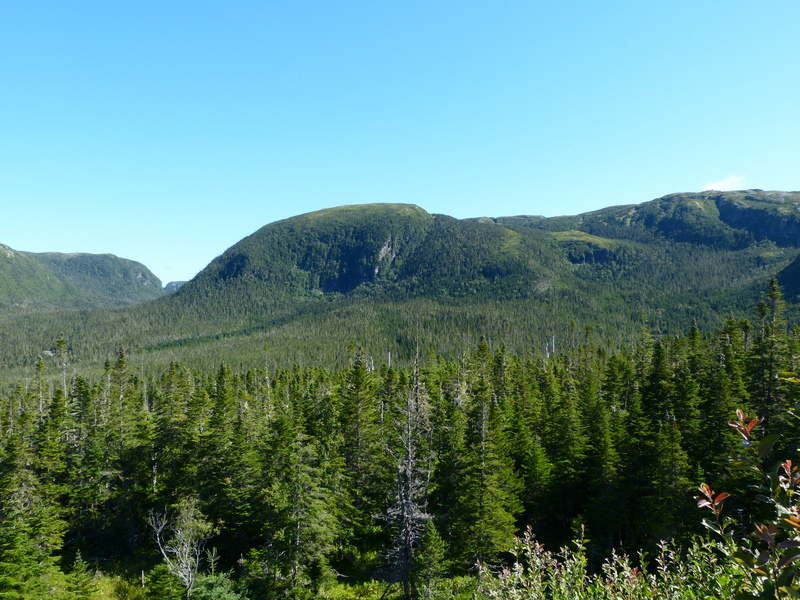 The TableLands of Gros Morne National Park. A geologist’s dream! 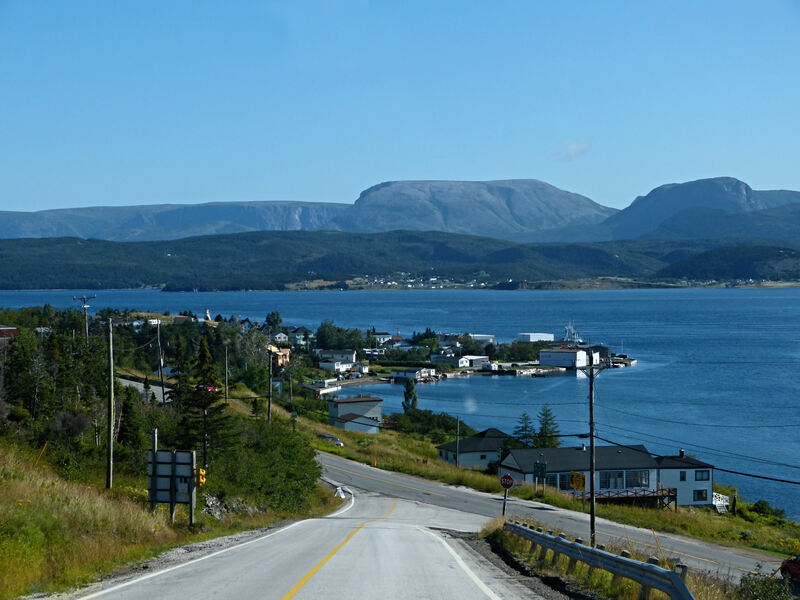 Today we are moving to Shallow Bay campground on the other side of Gros Morne. With a bit of luck, I should be able to upload the pictures of the provincial park and the Tablelands. This entry was posted in Uncategorized on August 20, 2013 by Ramblin' Rose. Have you been lucky enough to see any Moose yet? Wow! Your adventures are sounding amazing! So glad to hear Charlie’s ankle is on the mend! Looking forward to your pictures. EVERYTHING EVERY PLACE sounds magnificent! Hi Liz, are you back to work now? Miss you! Have fun, looking forward to your next post and pictures! Have a great first day back at work! Can’t wait to hear bout your running. Your pix are magnificent! The color of the sky and water are breathtaking ! Running has been lots of fun! Catch up with you later on! Thanks, Susie! His ankle is mending slowly, we just can’t do any real hiking. Thanks for looking at our blog!